Pelagic fish are a variety of fish that do not live close to the bottom of the sea. They live in the pelagic zone of an ocean or lake as opposed to benthic fish, which live near the bottom. The highest fish catches in Icelandic waters are from and handful of pelagic species. These fisheries are also characterised by great fluctuations, as the stock size and migration routes of these species are highly variable. 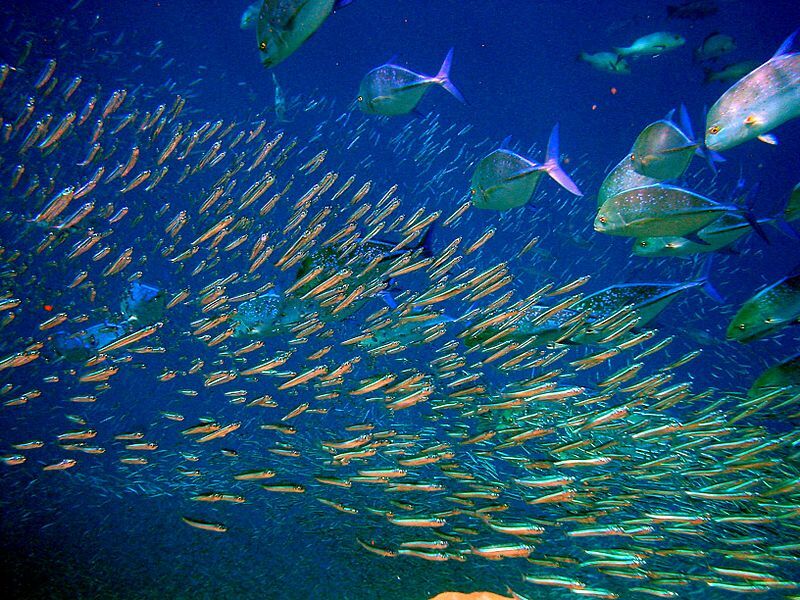 Another characteristic of pelagic fish species, as opposed to benthic fish species, is that their migration routes tend to be much more extensive. Pelagic fisheries are consequently spread over a wider area. The herring is probably the most important species historically for Iceland. Other species of pelagic fish include: blue whiting, mackerel, capelin and others. 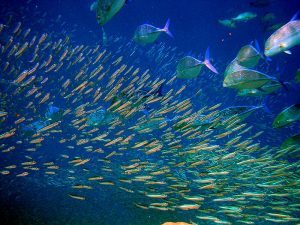 Many pelagic fish species are used of fish meal and oil production; however, an increasing share is used for human consumption as well.